Do assassins get better with age? This isn’t a review. I thought about doing that, but then realised that I’d be writing about games that are 10, 8 and 6 years old that have been reviewed to death already, and aren’t in need of another internet page telling you what the stories are about. 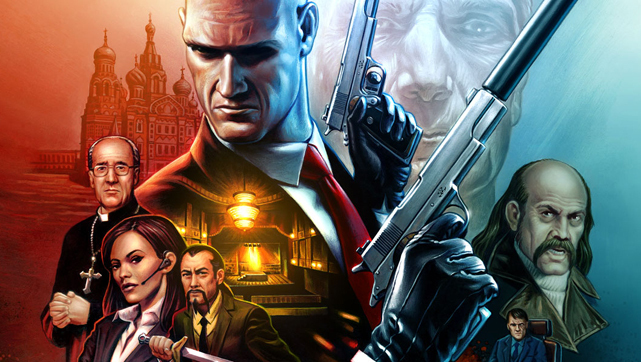 Instead I’m going to recap my time with the Hitman HD collection and aim to give an idea on how I felt playing these again, and also how they stack up by today’s standards. Getting one thing out of the way to start with, I love the Hitman franchise and was very excited about being able to go through the three I played on the PS2 again, so this is going to be biased. I’m not a hoarder when it comes to consoles and games, my original purchases have long since been consigned to the 2nd hand racks of my local game store after they were no longer regular inhabitants of the disc drive, but sometimes you drag up some nostalgia misted memories and think “I wish I could play that again”. The HD collections mean those thoughts can be fulfilled with a spruced up version that is going to make you realise either what joyous experiences you’ve deprived yourself of, or how you had pushed the horror of decade old gaming from your mind. If you saw my Twitter feed over the last couple of months you’d have seen snapshots of my progress through the games, I’ll use a couple to punctuate this article. I even considered just joining them all together and posting them to write this piece but be happy I didn’t, it ended up being more like the random thoughts of a serial killer (my non-gaming followers must think I’m insane). 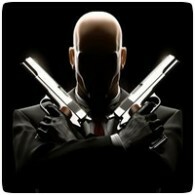 The first foray in to the world of Agent 47 for console owners. Brilliant at the time for it’s multiple choice ways of eliminating the targets in the 20 levels available, it really shows how far we’ve come in 10 years. I can’t knock the work done on the collection, it’s identical to the original in every respect barring the upscaling, even down to the fact that none of your options are saved so you have to reset everything each time you load your progress. The AI hates you with a passion, the suspicion meter rockets up if you dare break in to a fast walk within half a mile of a guard, creeping up behind someone to fibrewire them takes longer than the Lord of the Rings Trilogy (extended editions) watched back to back, and don’t even think about using anaesthetic because it only works for the time it takes to steal the victims clothes. Textures are sparse, levels a little bland outside the main target areas and all actions have to be precise to pull them off. It is a lesson in unforgiving game design. But it reduces frustration by allowing you to save anywhere in a level, altering the number of uses available as you go up the difficulty scale. It also has (for me) one of the best levels in the whole series, “Basement Killing”. Set in the Petronas Towers in Malaysia you have to infiltrate the basement of a hotel to take out a computer hacker and was the first level I ever achieved silent assassin rank on where I successfully used all the techniques to get the result: distraction, disguises and a fire axe to the head. Yes, the gameplay is clunky and a bit slow. Yes, you have to be bang on with every action or you’re going to be spotted and have to shoot your way out (not easy in this one). And yes, you have to apply a bit of lateral thinking to counteract the AI and it’s amazing capability to see through all your disguises (and walls). But there is still a playable game in there, and one that can be very rewarding if you put the time in. The second console game and a dramatic improvement over the first. The engine is essentially the same but was refined and tweaked to make it more playable than the first and it shows from the opening menu screen. The biggest differences are the increase in the size of the levels and the number of NPCs on screen at any time. There’s no slow build to this, the first assassination contract level has you infiltrating a party in an abattoir and shows off the number of people as soon as you get in there, and it still looks pretty good today. Because this game is told in flashbacks so the developers could capture some key missions from the original Hitman: Codename 47, there’s not a linking story to all the scenarios, and there are only 12 levels, but the size and nature of them make up for it. Some of the issues with the first game are removed, you can creep faster and the syringe actually works for knocking out innocents, levels aren’t as sparse (though you do repeat one), AI is better, but the precision is still needed to pull off all actions (like accidentally looking through a keyhole 6 times when you meant to drag a body before that patrolling SWAT member finds you). You can also tell from the increased NPCs that the focus for Contracts is more on using crowds to get to your objective, and the environment starts to become a part of the assassination as well. There are more chances to pick up random items and have that degree of interactivity than before, particularly during “Beldingford Manor”, an assassination that takes place in an English country home where the additional attention to detail stands out. Firstly, you need to have the right weapon with the right uniform and whether you’re holding a shotgun at ease or ready to fire will alert guards; poison, pistols, fuel canisters, knives and chimneys can all be used to take out your targets; distractions come in the form of TV signals, explosions and even horse poisoning; and it’s all wrapped up in an neatly designed and executed level. IO Interactive also added a series of training levels so you could practice stealth, target shooting and timed area attacking, along with a lovely glass cabinet to display all your collected weapons. The ability to select what items you take in to a contract with you is the same as the first game, and the greater variety prompted replaying levels to make sure I collected as many as possible, including trying to escape with a minigun in the Leon inspired section. A shorter game but still very good, Contracts is definitely worth the time to revisit. The last game from the collection. This had already been released on the Xbox 360 so an HD makeover wasn’t difficult, and they did save the best till last (of the 128 bit generation at least). This is the third copy of the game I’ve owned having bought it twice on the PS2 due to a damaged disc through overuse, and I can honestly say I enjoyed it almost as much as the first time I booted it up in 2006. From the beginning it’s clear they are going for much more detailed environments and variety of gameplay, the inclusion of a tutorial mission highlighted that they wanted to open the game up to more casual gamers, and the interfaces are tailored more for consoles than PC (the text is humongous in comparison to the last two games and is almost off putting). They added a throwing mechanic for distraction (though not the sublime weapon throwing skills of Absolution sadly), 47’s body responds to his situation through automatically hiding weapons behind his back if someone gets too close, and accidents are introduced so that you can pass all assassinations off as unfortunate events. The accidents are crucial in making sure you aren’t spotted because a notoriety rating will follow you through the story making it harder for you to blend in with the crowds and the NPCs will know who you are which gives the game a bit of a dynamic difficulty. The gameplay is honed to perfection, hostage taking and body hiding become valuable ways of getting to your target cleanly and quietly, and taking time to think about your approach is rewarding. Take “A New Life” for example, you have to wipe out an FBI protected mob informant in a suburban neighbourhood. The map is small, there are lots of agents wandering around, civilians can see you from nearly everywhere, and it feels impossible at first glance. Spend a bit of time exploring and suddenly you’ve maybe 5 or 6 different ways to get the job done, and that’s without bringing in specific weapons you’ve upgraded in the mission briefing. Even this time round I found a new way to poison the target and make it look like his wife had drowned during a drunken swim. Without doubt this is the best of the collection and it really rams that home when you’ve been through the other two first. Weapon hoarding is included like the other games, and taking whatever you want as equipment in to each level promotes replay value and different play styles (remote anti-personnel mines are the most useful tool ever!). Why Absolution ditched this customisation aspect I don’t know, it’s the one thing I didn’t realise how much I’d missed until now. I’d recommend playing Absolution after the HD collection if you haven’t touched any of them yet, the leap from Blood Money to this generation is staggering and gives a great view on the design progression from over the 10 year span. I said at the beginning, this isn’t a review and there are 3 games so I can’t really do it justice with a single score, but I can tell you that this collection is on the EU PS store for immediate download. Just do it. Now.